In other words, the same Washington Post that relied heavily on the discredited fake news group “PropOrNot” as its primary source for the story is now admitting PropOrNot can’t be trusted at all. The editor’s note is “in effect admitting the entire story may have been… ‘fake news’ and conceding the Bezos-owned publication may have engaged in defamation by smearing numerous websites – Zero Hedge included – with patently false and unsubstantiated allegations,” writes Zero Hedge, one of the sites defamed by the Post. By the way, Natural News has announced a $10,000 reward for the identities of the PropOrNot organizers, and we’ve been informed that two research groups are working on obtaining that information. Despite the Washington Post’s admission that their original story relied on an obviously fake news source, the $10,000 reward is still being offered and Natural News intends to publicly name the PropOrNot organizers, then sue them for defamation. We further intend to name the Washington Post and Craig Timberg as co-defendants in that lawsuit. The Washington Post’s “editor’s note” is a particularly pathetic attempt to try to weasel out of responsibility for the story, claiming the paper “did not name any of the sites” even though it relied on the PropOrNot website lists as its primary source for its story. By this reasoning, the Washington Post asserts that it can quote any shady source it wants, without any verification whatsoever, and then disclaim any liability for the defamation, loss of reputation, emotional damage and other harm caused to its intended defamation targets. For all we know, Craig Timberg himself ginned up the “PropOrNot” group so he could quote it in his own fabricated story (and then distance himself from the shady group if anyone called “bulls##t” on the Post). The realization that this is how the Washington Post pursues “journalism” is a disgrace to the entire profession of journalism and an admission that the Washington Post has abandoned any semblance of journalistic integrity. The paper, by refusing to fire Timberg, retract the story and apologize to those affected by its shoddy reporting, is doubling down on its own well-deserved credibility suicide. 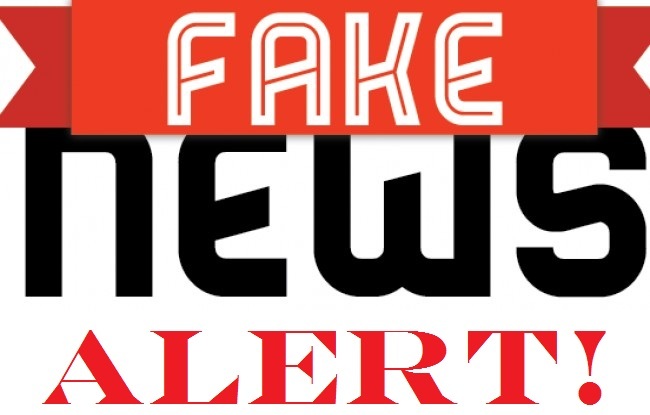 As the entire world watches, a once-respected paper has transformed into a presstitute tabloid “fake news” rag right before our very eyes… and then defended its tabloid-style reporting by claiming it never said its sources could be trusted, wink wink. Seriously? This is what passes for journalism at the Washington Post now? Frankly, the National Enquirer does far more research on its sources before publishing stories. Criticism culminated this week when the “Naked capitalism” blog threatened to sue the Washington Post, demanding a retraction. Now, at least, the “national newspaper” has taken some responsibility, however the key question remains: by admitting it never vetted its primary source, whose biased and conflicted “work” smeared hundreds of websites, this one included, just how is the Washington Post any different from the “fake news” it has been deriding on a daily basis ever since its endorsed presidential candidate lost the elections? Do I even need to say that if you believe anything the Washington Post ever publishes again, you’re being suckered by a “fake news” propaganda publisher that now admits even it can’t trust its own sources… but doesn’t think that’s a good reason not to publish the story anyway?